Google Play Audiobooks Section Now Live! Over the weekend, hints of an Audiobooks section launching on Google Play surfaced, leading us to believe that Google would announce details at some point early this week. As it turns out, today is the day – Google Play Audiobooks are now official. With Audiobooks from Google Play, you can buy single audiobooks (no subscription required), add them to your Family Library, tell Google Assistant on your phone or Google Home to read your books (including setting timers), Cast them to supported devices, and pick-up where you left off from one device to another. Android Auto support is coming soon. Google is rolling out Audiobooks to 45 countries starting today and in nine languages on Android, iOS, and the web. 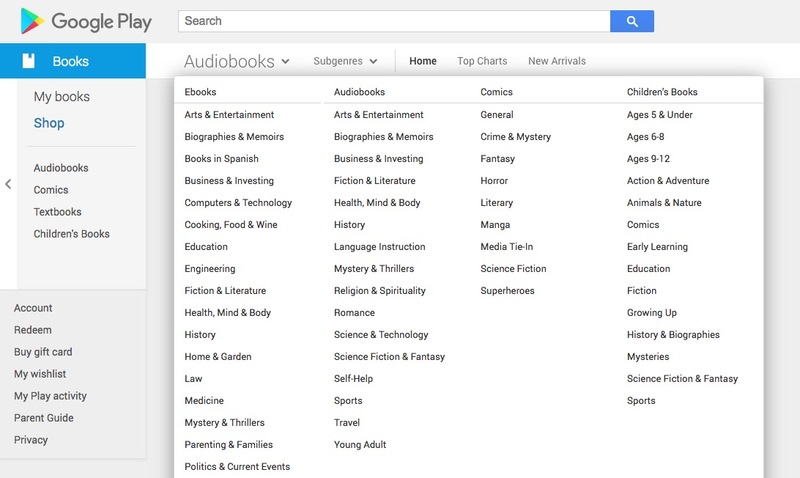 If interested in audiobooks, Google will knock 50% off your first purchase. Just hit up that Google Play link below and look for the “50% off Your First Audiobook” banner.